No one plans to become a NICU family. Yet, many of us suddenly find ourselves in this overwhelming situation, with our babies born too soon. My twins, Micah and Zachary, were born three months prematurely. Micah and Zachary spent 91 days in the NICU, and then Micah spent an additional 208 days in the PICU (Pediatric Intensive Care Unit). My husband, Noah, and I live in Ann Arbor, where babywearing is as common as Sophie the Giraffe. We purchased our first wraps while our babies were still happily safe and snug in my belly. 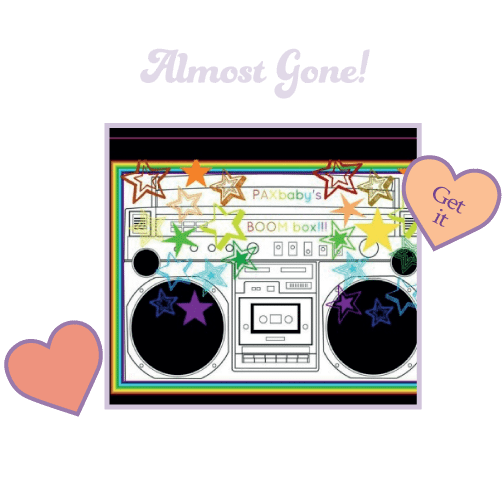 When the twins were born, each weighing about 2½ pounds, our wraps sat untouched at home. 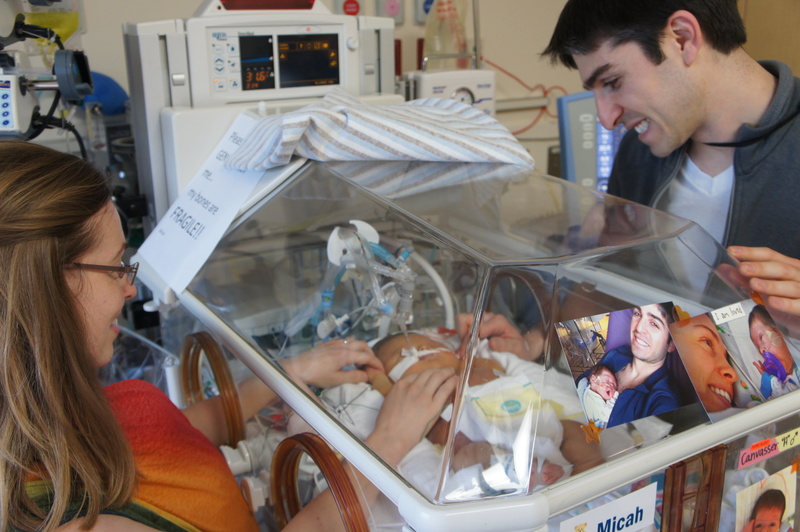 Micah and Zachary struggled to breath and were hooked up to cords, wires, tubes and machines. We couldn’t wrap them when they were intubated and unstable, so we kangarooed them instead. Understand and know how to protect each of your baby’s lines/wires/cords, etc. 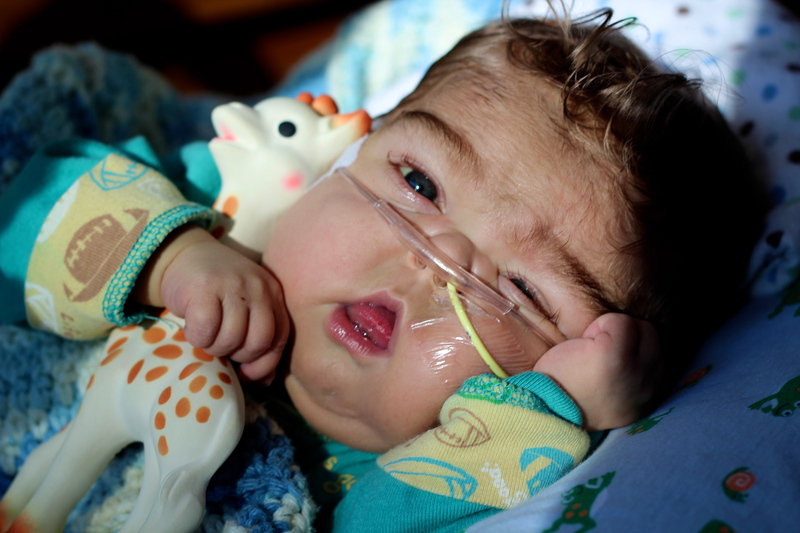 Once Zachary was stable, an expert babywearer from our community visited our family in the NICU. She carefully taught us how to safely wear Zachary, who was still attached to cords and wires. Zachary had a history of severe apnea and troubled breathing, so she was extra careful to show us how to keep his airway open. During her visit, Micah was so unstable that he could not even be held, but it was amazing to wear Zachary and have our hands free to be with Micah. A baby’s readiness to be worn is all about stability and safety. Babywearing must not pose a risk or jeopardize your baby’s safety. We fell in love with babywearing immediately. After having to leave our babies alone every night for months, and being physically separated from them for so long, we longed to feel the twin’s skin against ours. We needed to feel them close. We needed to hear them breathe. The twins needed to be wrapped up in our love. One of my most cherished babywearing moments was tandem wearing Micah and Zachary for the first time. Micah was still in the hospital, but stable enough to visit other floors. I wrapped up my boys and just the three of us headed down to the NICU to visit the nurses who saved their lives countless times. I felt so proud, blessed and honored to be Micah and Zachary’s mama. The nurses doted over the boys and were fascinated by our meh dai carrier! I felt like the luckiest mama ever. While we loved using woven wraps and meh dais while the boys were in the hospital, ring slings offered the most ease, and were the safest option for the boys’ attached cords, wires and tubes. Babywearing became an integral, beautiful part of our journey. During Micah’s extensive hospitalization, babywearing allowed me to care for both of my babies at the same time. My babies and I were desperate to be close to one another; babywearing brought us together. I’ll always treasure our family’s first neighborhood walk at home. I wrapped up Micah, Noah wrapped up Zachary, and off we went with our dog, Benjie. We were finally at home together, a dream come true. Babywearing brought us closer and helped us make up for our months of separation. Micah tucked his head under my chin, Zachary snuggled on his daddy’s chest, and in that moment, life could not be any sweeter. 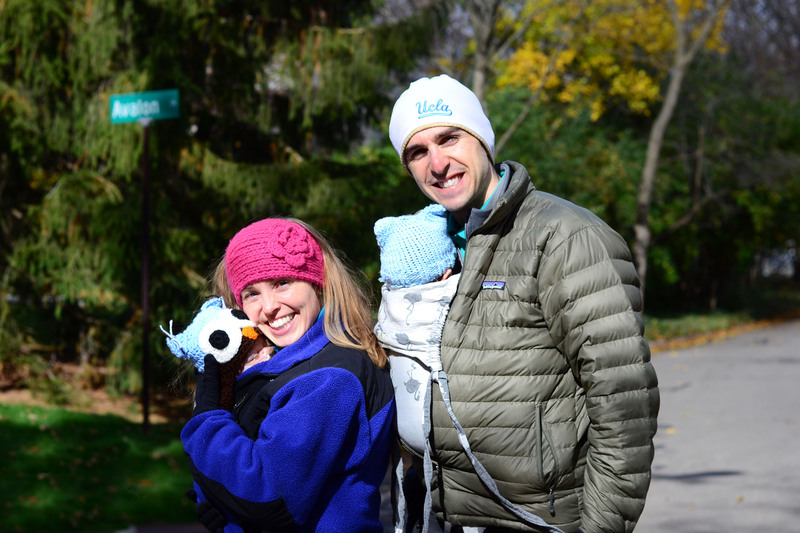 Babywearing is one of the most incredible gifts for NICU families. However, there are challenges and risks that must be carefully considered before wearing a preemie or hospitalized baby. Besides the obvious need for the infant to be stable, you may need to build confidence in your baby’s care team. 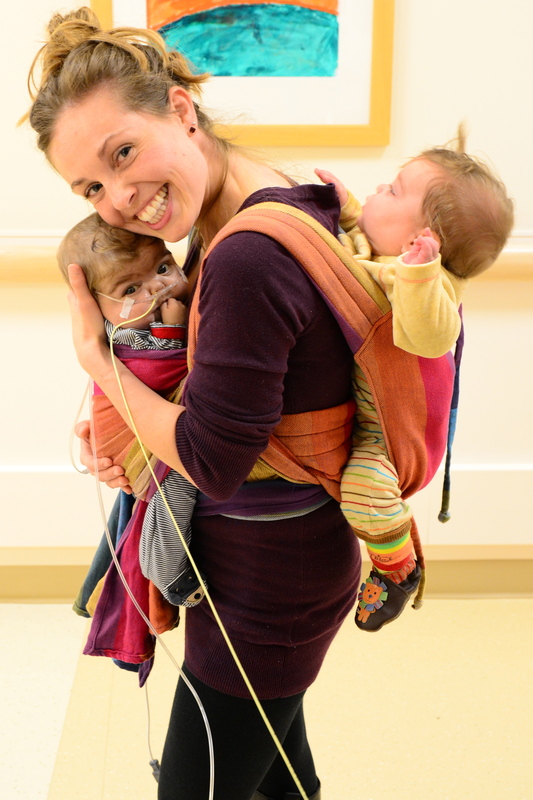 Many NICUs and children’s hospitals are not familiar with babywearing. You may need to demonstrate that you have the skills and understanding to ensure your baby remains safe while being worn. 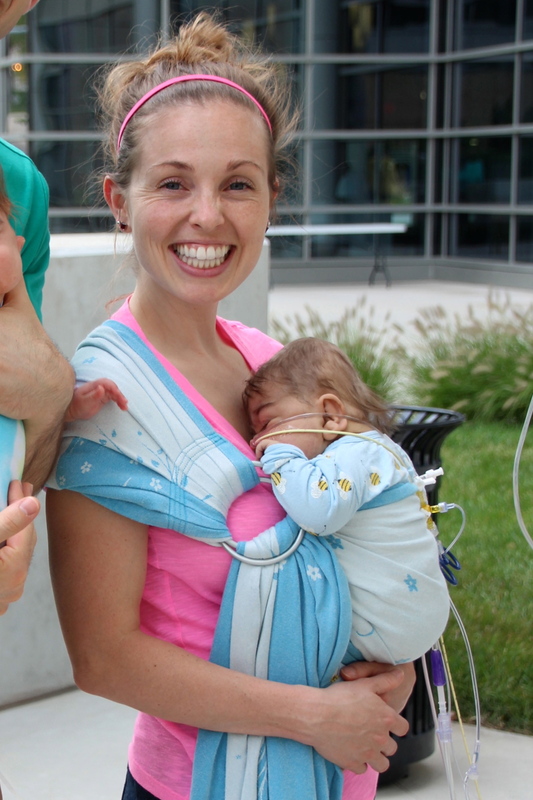 Babywearing provides NICU families with the closeness they so desperately need. 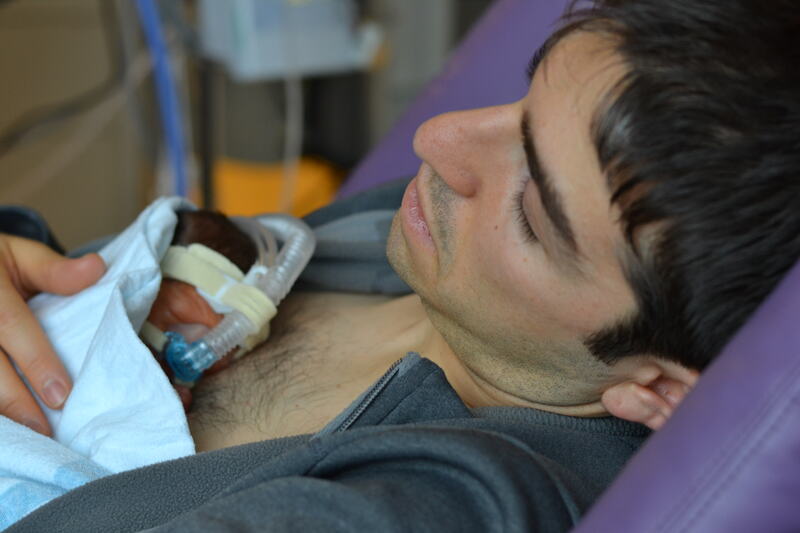 If you know a NICU family, ask if you can help them learn how to wear their baby. If you are a NICU family, get a ring sling and work on building your skills so that as soon as your baby is ready, babywearing can bring the two of you together. 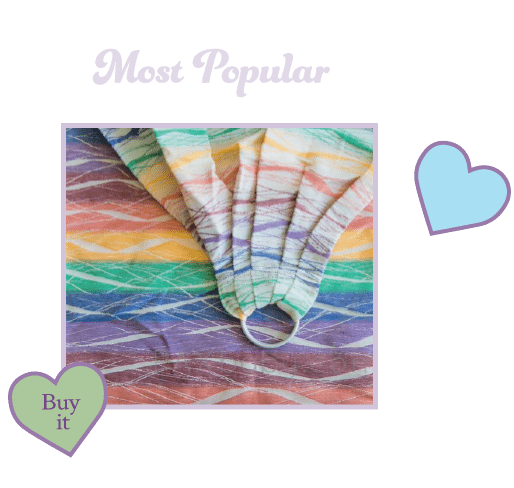 Babywearing nurtures bonding and intimacy, while keeping the caregiver’s hands free, an invaluable, necessary gift for every NICU family!